Enrique Patrón de Rueda | ¡VidaMaz! The Velada de las Artes last night, Saturday 19 February at 8 pm in the Angela Peralta Theater—entitled Dúo de Amor—was spectacular and left me with my mouth hanging open quite a few times. The crowd was greeted in the lobby by the Guillermo Sarabia Chorus, waiters passing red wine, and a beautifully draped and chandeliered ceiling. Click on any photo to enlarge it or view a slideshow. The chandeliers continued through to the theater and on the stage, making for a stunning effect. The first subject of the evening was to award the Mazatlán Literature Prize, one of the most prestigious awards given out during Carnaval. Prior recipients have included Ángeles Mastretta, Fernando del Paso, Octavio Paz, Francisco Hernández, my favorite, Elena Poniatowska and Carlos Fuentes. 2019’s awardee is Guillermo Fadanelli, who was recognized for his body of work—Lodo, Educar a los topos, Mis mujeres muertas, El hombre nacido en Danzig, and Hotel DF are a few of his best-known novels, and he also writes essays. Fadanelli’s works have been translated into six languages. José Ignacio Lizárraga, Ernesto Velázquez Briseño and Alejandro Páez Varela comprised this year’s panel of judges. Fadanelli received the award from Óscar Blancarte Pimentel, Director of our Instituto de Cultura, Turismo y Arte de Mazatlán, as well as from our two 2019 queens, Karla II and Yamilé I. For such a prestigious event in such a gorgeously historic venue, Fadanelli could have at least tucked in his shirt, or even pressed it. But Ithe crowd did enjoy his bright red shoes and Ivery much appreciated his remarks. “Culture is life, it’s an extensión of our thoughts, it’s the desire to be someone… language amplifies our imagination… words, language and writing help us better the world,” he remarked in accepting the prize. After the award presentation we had a short break, so the sofas and podium on stage could be changed out to make room for the Camerata Mazatlán and part of the Orquesta Sinfónica Sinaloa de las Artes. The musicians did an incredible job. It was a night of love and passion, with arias from Die Fiedermaus, Turandot, l’amico Fritz, Andrea Chénier, A Masked Ball, Aida, Nabucco, and Madame Butterfly. The highlight of the evening were the two international opera star headliners: soprano Elizabeth Blancke-Biggs, and tenor Dario Di Vietri. Kudos to the stage light professionals, as they did an excellent job. There were no costuming, props or backgrounds, but via the music, the incredible voices, acting and lighting, the audience was transported to each opera and filled with the passion intended in each aria. The audience demanded, and got, two encores. We all know how blessed we are to live in Mazatlán, where we can enjoy world-class cultural events in intimate spaces at affordable prices. Last night, however, was over the top. Where in the world can you enjoy a renowned symphony conductor encouraging the audience to sing along with the stars on stage? Or witness the two stars vamping an incredibly campy, passionate kiss, only to break out into heartfelt laughter that delights the soul? Or witness the conductor scold a queen for over-use of her cell phone, or joke about a percussionist’s mishap on stage? The only reminder of our small-town-ness were the frayed carpets and the dirty podium on stage. In the presence of such incredible artists, surely we can do better than that. The theater was nearly full. Carnaval royalty from this year and last year atended, as did Papik Ramírez Bernal, Director General of the Instituto Sinaloense de Cultura, and Victoria Aída Tatto Prieto, State Director of Cultura. Carnaval has officially begun, people. We have our royalty, we have our award winners. Now get ready to party! Sinaloa is shaking things up and leading the way for Mexico, people! 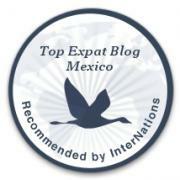 Mexico’s National Tourism Fair—the Tianguis Turístico—is a business event. It was designed as such and since its inception has always been a closed event for the elite of the world’s tourism and hospitality industries. The fair’s days are filled with business meetings, conferences, networking and deal making. It is normally all about work, and not much play. Below is from the Tianguis website; excuse the strange English—national tourism could obviously benefit from some fluent English speakers! Tianguis Turistico is the most important event of the tourism sector in Mexico, where entrepreneurs, hoteliers, travel agents, in-bound operators, tour operators, meeting planners and specialized media of the tourist industry from more than 80 countries in the world, gather to concrete business appointments with all the destinations of the country, being the most representative event for the commercialization of the Mexican tourist offer. Leave it to my beloved Sinaloa to change all that! April 15-18, 2018, when Mazatlán hosts the event, the Tianguis will still include loads of private business meetings, but it will also include two of the things that Sinaloa is most famous for — COMMUNITY and FUN! Our Sinaloa, making things better than ever! We’ve all moaned about the construction city-wide that has preceded the Tourism Fair—its been year of noise, dust and inconvenience—and we’re all excited about the fact that our hometown will be showcased as the tourist gem that it is. Now that the event is close, however, I’ve heard quite a few people complain that the Tianguis events are private and not open to the public, after all the suffering we’ve been through. While business access to the event starts at $200USD if you pay before April , this year there will be some very cool events that are indeed open to the public. Our Governor, Secretary of Tourism and Director of Cultura say they wanted to be more inclusive of the local community. So, what events can we all get into without a ticket or invitation? They are in bold type in the chronological list of events, below. 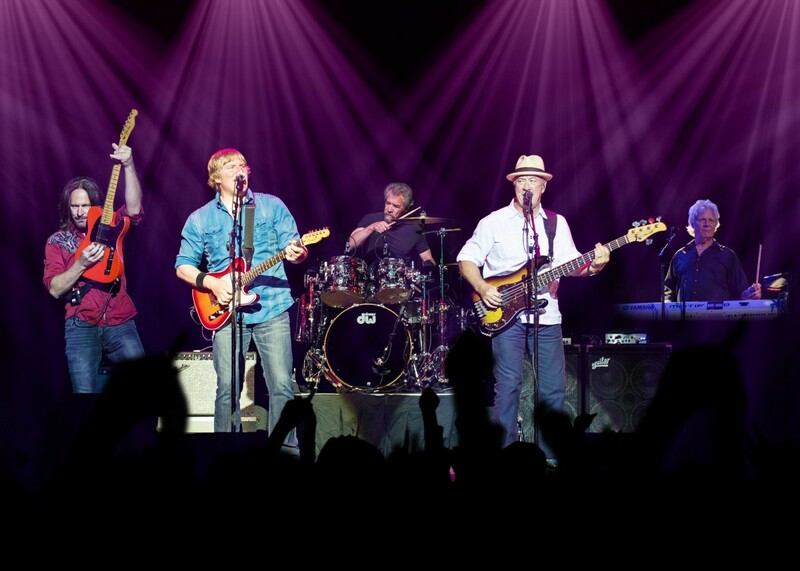 Saturday April 14th at 8 pm near the Fisherman’s Monument everyone is invited to a free concert by “Credence Clearwater Revisited.” Don’t expect John Fogerty, but CCR members Doug Clifford on drums and Stu Cook on bass will be there, along with another expected 30,000 people. Opening night on Sunday April 15th at 6 pm—invitation only—includes a spectacle that will rock the Angela Peralta Theater, including a brief 10-15 minute Cirque du Soleil show and remarks from the President of the Republic, Enrique Peña Nieto. Alexandr Borodín’s “Polovtsian Dances” from the opera, Prince Igor; “Woman is Fickle” from Giuseppe Verde’s opera, Rigoletto; “Love is a Rebellious Bird” or “Habanera” and also “Toreador” from Georges Bizet’s opera, Carmen; “Oh My Dear Daddy” from the opera, Gianni Schicchi by Giacomo Puccini. Songs of Pedro Infante, Lola Beltrán, Juan Gabriel and José Alfredo Jiménez as well as mariachi music. I am so very pleased to know that our local artistic and performance talent will be front and center, including the orchestra, the camerata, Delfos, the adult and youth choruses, and a banda created just for this event, called Puro Sinaloa! 2018 is also the first Tianguis in history that will showcase the culture and talent of the hosting city and state. The Tianguis will be based at the Mazatlán Convention Center. I was out there two days ago, and they have built a two-story building in the back yard to house the multitude of meeting rooms that will be required for this huge event. I’m also very pleased to report that photos from my “Yo Soy Fuereña, Nací de Aquí Muy Lejos” exhibit, in Galería Peralta now through 14 April, will be reprinted and mounted at the entrance to the Convention Center, to welcome Tianguis visitors to Mazatlán. Monday through Wednesday are mostly business meetings, but at 1 pm Monday afternoon Steve Wozniak will speak. Monday evening at 7 pm in Centro Histórico the states of Querétaro, San Luis Potosí, Zacatecas, Guanajuato and Aguascalientes will put on an artisan fair and festival that will be open to the public. Simultaneously there will be an invitation-only reception in the Plazuela Machado. But, the fact that it’s invitation-only doesn’t mean the public can’t enjoy the events from and on the outside of the perimeter! Tuesday at 8 pm my favorite hometown band, La Falsa Orquesta Cubana, will play dance music in the Plazuela Machado, and public opportunities to enjoy the event will finish up on Wednesday evening from 8 – 10 pm with the music of Suncaí Gitano, a presentation of the Circo Machado, and the voice of Heidi Herrera. I know I’m still surrounded by construction on all four sides, with noise and dust 24/7; a short respite will be more than welcome. Enjoy! The Opera Made Me Cry! I love a good opera. Just as I love a good narrative ballet. And I’ve been blessed to have seen both in some of the world’s oldest and most revered opera houses: Teatro Colón in Buenos Aires, the Hungarian State Opera House in Budapest, alla Scala in Milan, among many others. And while our Angela Peralta Theater is smaller, it’s every bit as gorgeous, though I may be biased. Anyway, this season we are blessed with not just one, not just two, but FOUR fully acted operas! And woe is me, I am going to miss the last two. But I was in the audience for Puccini’s Suor Angelica last night, and oh my God did they do an excellent job! My friend and I both had tears streaming down our faces. The singing was absolutely magnificent, and the acting outstanding. We are blessed with Maestro Enrique Patrón living here. The orchestra was amazing as well. Costumes and sets were very creatively done. Major kudos to everyone involved! Click on any photo to enlarge it or view a slideshow. The lead, Angelica—my namesake, Dhyana Arom, has a pure clear voice and terrific acting skills. She was perfectly counterbalanced by her evil aunt, the princess, sung by María Luisa Tamez—who sang and played the role marvelously. We loved hating her. How could she be so cruel, and then turn to the Virgin and make the sign of the cross! What hypocrisy, right?! She made it oh-so-fun to hate on her; stellar job! Because Suor Angelica is a one-act opera, Maestro Patrón and company did twenty or thirty minutes of songs from other Puccini operas, including Madame Butterfly, Gianni Schicchi, Tosca, Manon and Edgar. What a treat! There was an intermission after this gala and the full opera. Thank you to all the performers, stage designers, costumers, organizers. I know I say it a lot, but we truly are blessed with our CULTURA Mazatlán folks! The theater was far from full, which baffles me to no end. Why in the world would people miss such an excellent performance? Life should not be too busy to enjoy it a bit. Says me who’s snowed under with work; I think my head exploded at least three times this week, lol. Don’t forget that now, with your ticket from the event, you can get a 10% discount the night of the show at most restaurants in the Machado as well as a few others. So, don’t make the mistake of going straight home after the show.